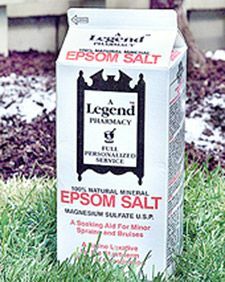 Beautiful Flowers Garden: Beautiful Epsom Salt is Magnesium Sulfate... Helps to produce bushier plants, produce more flowers, and deter pests. Great for the garden! Beautiful Epsom Salt is Magnesium Sulfate... Helps to produce bushier plants, produce more flowers, and deter pests. Great for the garden!